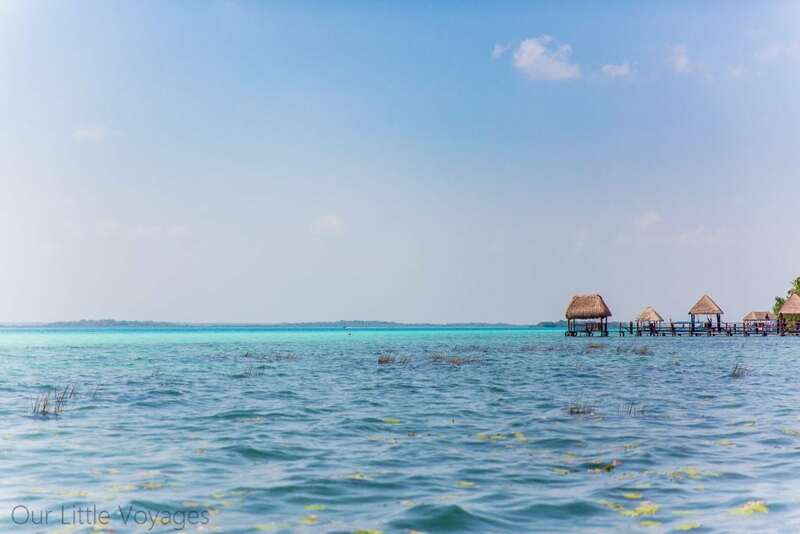 During an amazing entrepreneurial retreat for women, Vaera Journeys, I had a chance to spend the day at the Lake Bacalar, a lake known for its color and aptly named, Lake of 7 Colors. 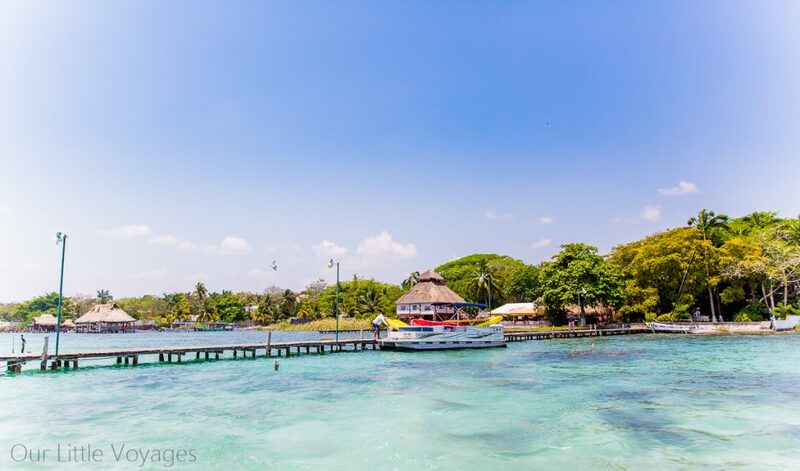 When you think Mexico, rarely does the word LAKE come to mind, right? 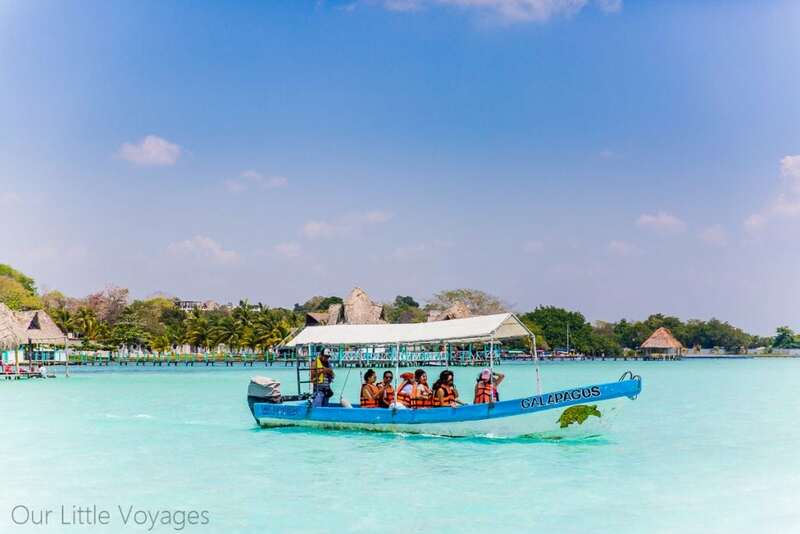 Mexico is known for its white sand beaches, turquoise water, food, and beautiful culture. 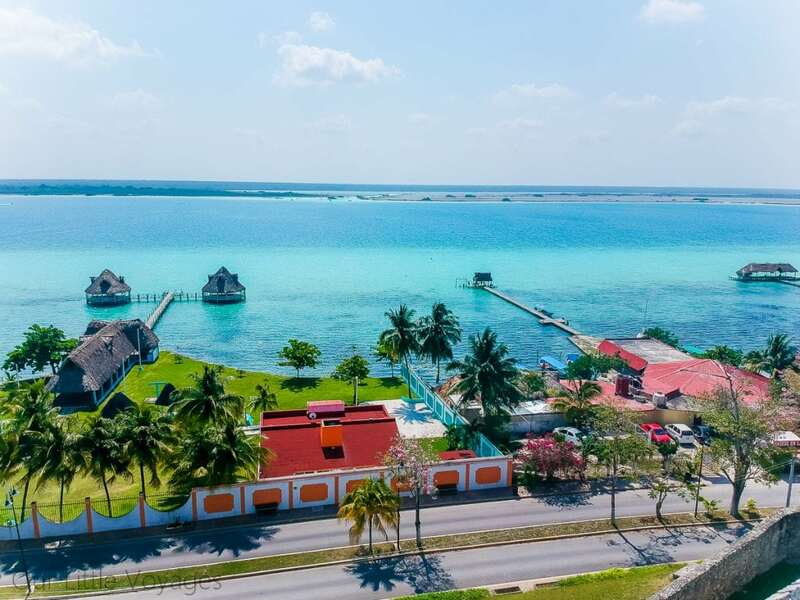 So it would come as a surprise to come across this beautiful 7 colored lake in the middle of Quintana Roo region about 3 hours from Cancun. 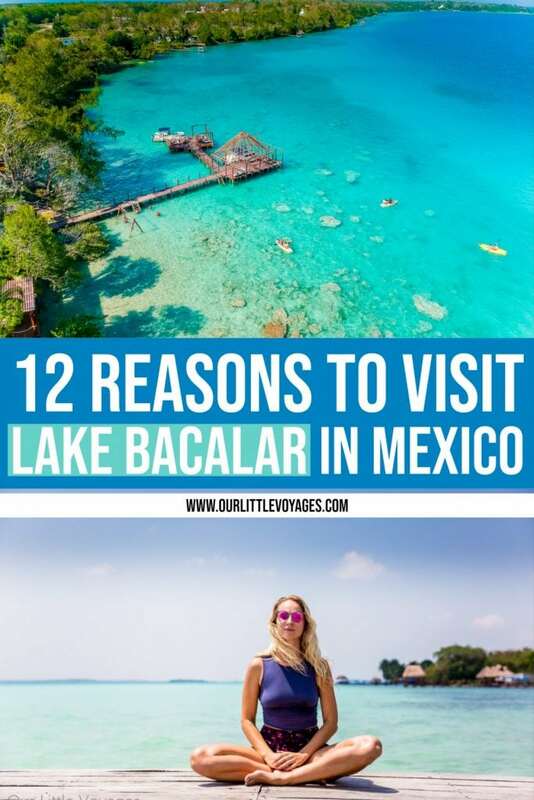 Lake Bacalar is fed by a maze of underground rivers that open up to the famous sinkholes or cenotes (which is another reason to visit Mexico, by the way). 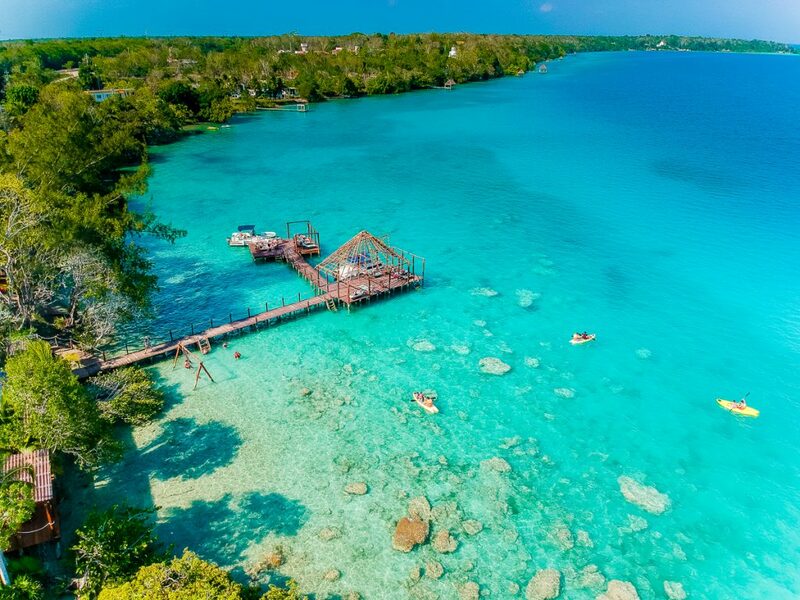 It’s beautiful colors are largely due to the limestone bottom with so many parts shallow enough to walk around. 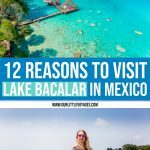 Lake Bacalar is not as touristy as other parts of Quintana Roo, like Cancun, Tulum ,and Riviera Maya which makes it a perfect destination for those looking for a little bit of Mexico without a bit of drunken tourists. While I spent only a day at the lake, I absolutely loved the atmosphere and the quietness and the nature of the region, so here is why you should explore it too! Change up the pace and do something different this time. 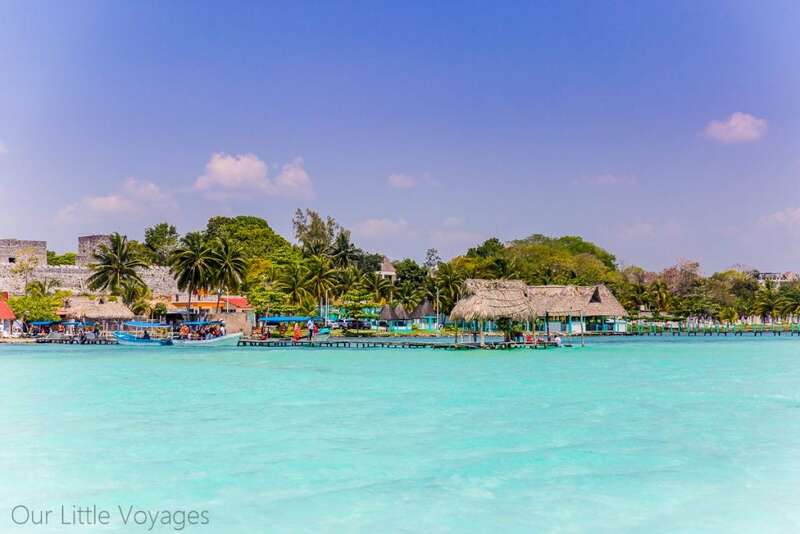 Everyone loves to visit Mexico for its Caribbean beaches, so be different and explore Lake Bacalar that will rival the Caribbean waters in its warmth, colors and healing abilities. 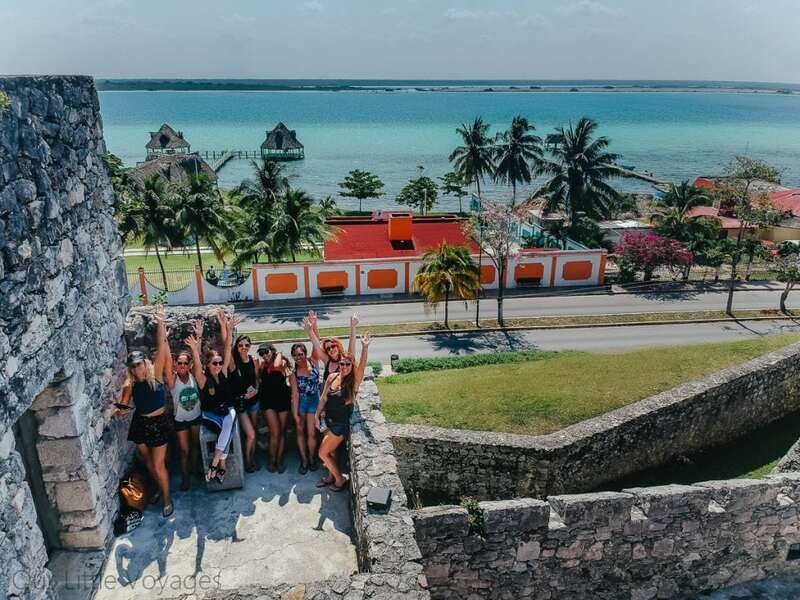 Being able to see Lake Bacalar from the top of the fortress gives you a good idea how truly beautiful the seven different colors appear. 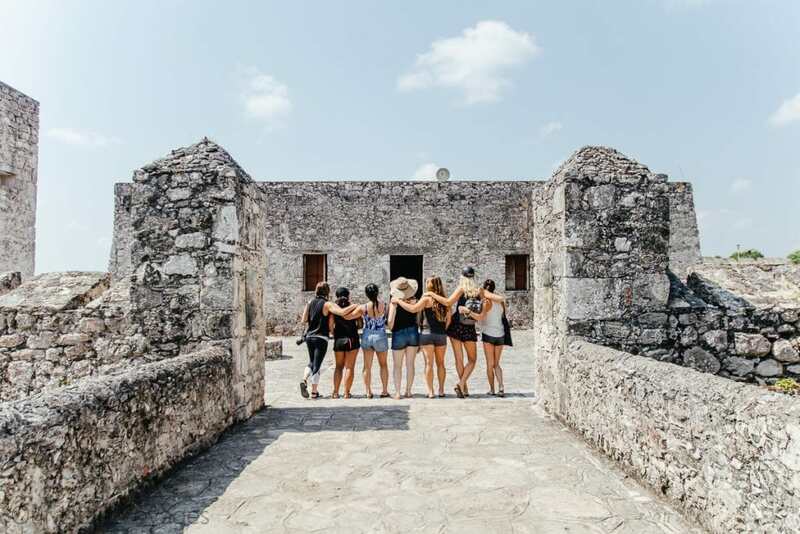 The second our all girl group found out that the mud from certain parts of Lake Bacalar is rich in sulfur, we dug in and created some DIY masks for our faces and bodies. Yes, we obviously did not smell the greatest, but our skin never felt this good! 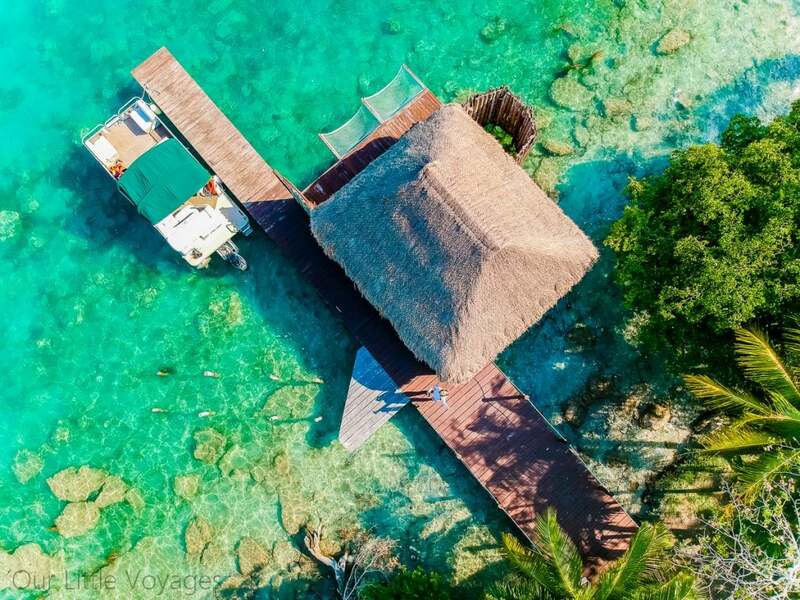 So you almost have a spa treatment right at your feet on Lake Bacalar. What more can a girl ask for? Sometimes it’s fun to be at the massive all-inclusives in Mexico, where you need a bus to get from one corner of the resort to another. 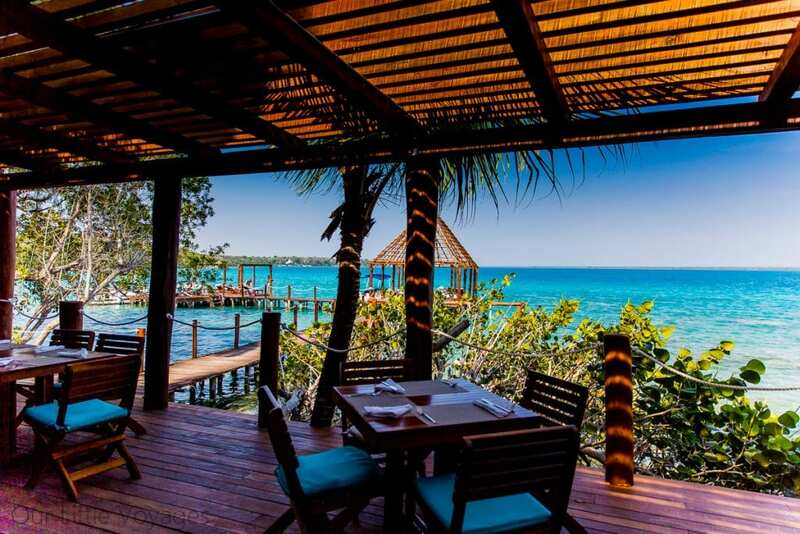 But to truly feel one with Mexican nature and culture, I prefer to go to something more remote. 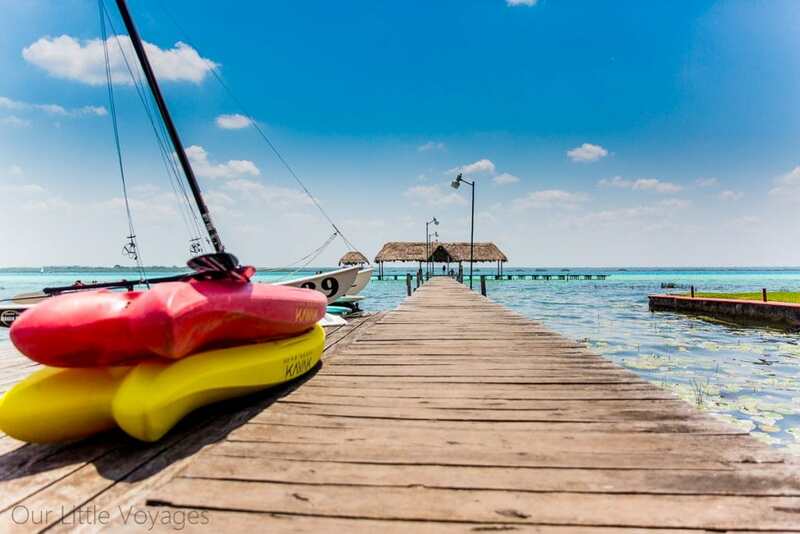 There are a handful of resort on Lake Bacalar and most of them have a feel of a camping vacation, with simple but beautiful cabins, hammocks between the trees, lunches on the water, and swings in the bay. We stopped by Rancho Encantado (which I hope to visit again soon) had an amazing lunch there, toured the facilities, and enjoyed some kayaking. 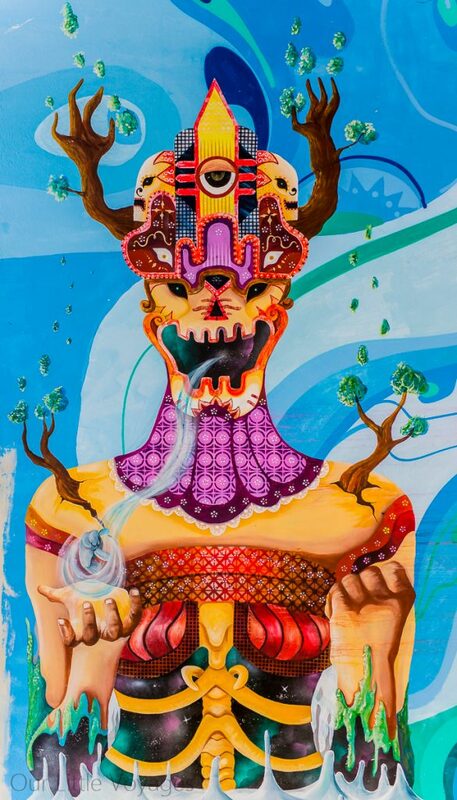 The further you get away from the super touristy areas, the more culture and authenticity you see. 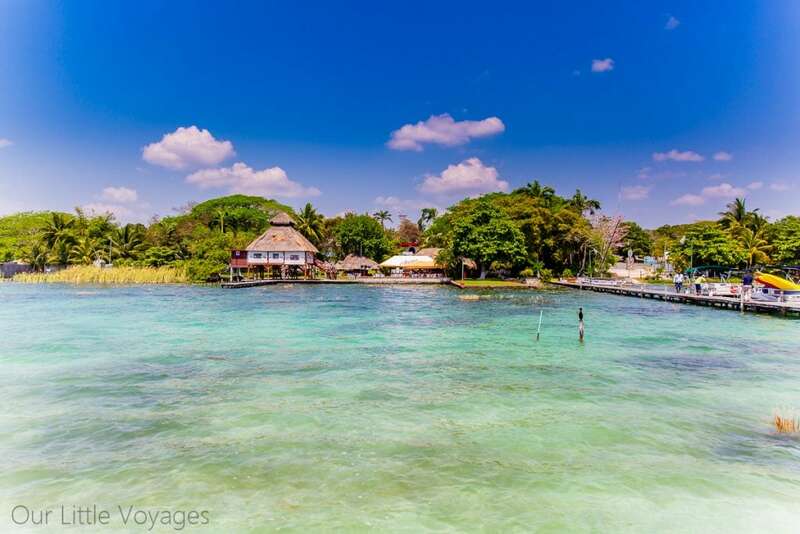 Bacalar has a beautiful little town to explore complete with it own fortress overlooking the lake. People are friendly, as they are everywhere in Mexico. 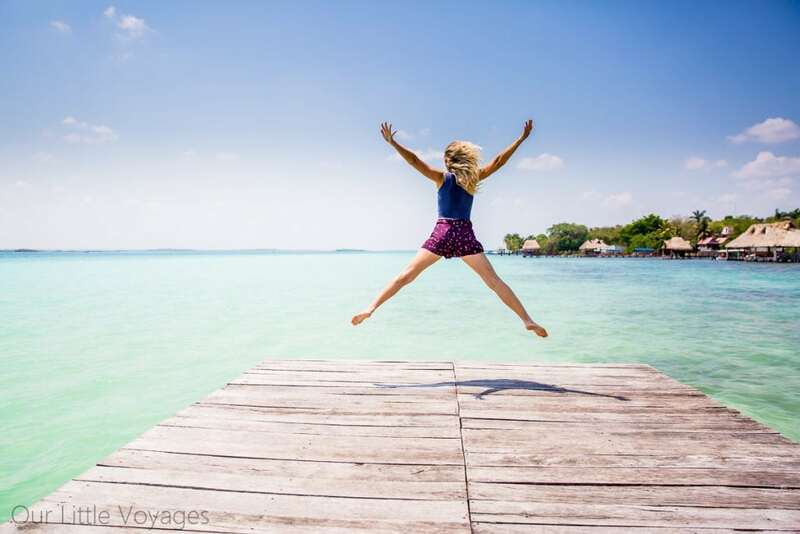 Lake Bacalar has not popped up on the mainstream tourist radar, so it is relatively untouched without massive resorts or crowds of tourists in khaki shorts and DSLRs. 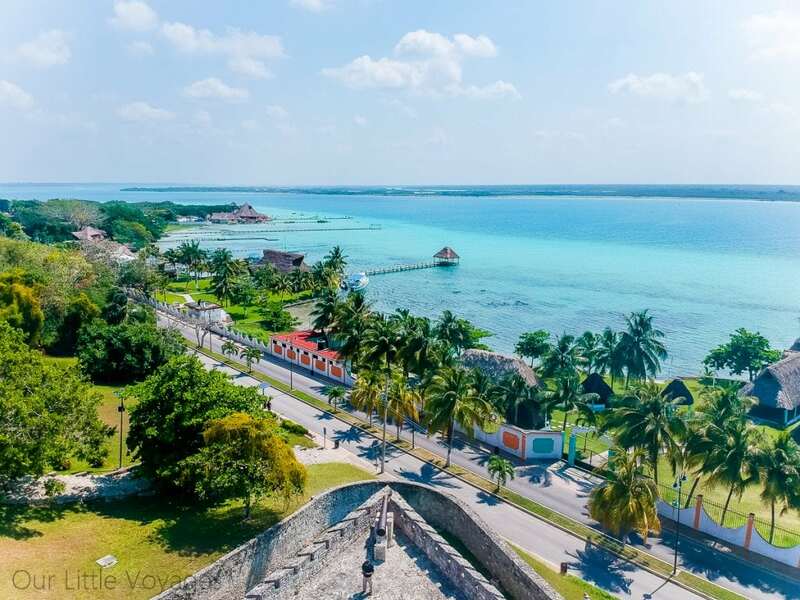 There is an archaeological site called Ichkabal nearby and, there are several Mayan towns such as Buenavista and Limones, which are great to explore if you enjoy a little bit of history. 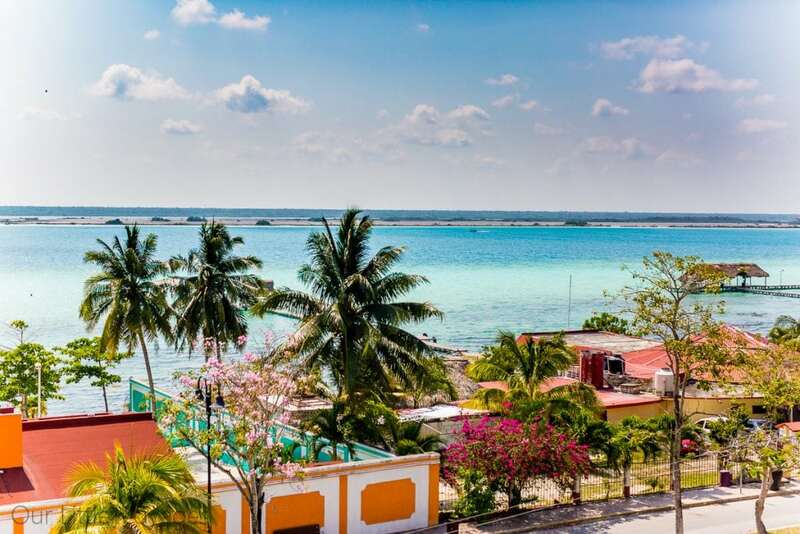 Maybe the locals will teach you a few words in Mayan language as well. Cenote Azul translates into blue sinkhole from Spanish. I absolitely love Mexican cenotes, which Quintana Roo is full off (imagine Swiss cheese- that’s what the underground looks like here). The water is crystal clear (and cold!) and so much fun to swim and snorkel. 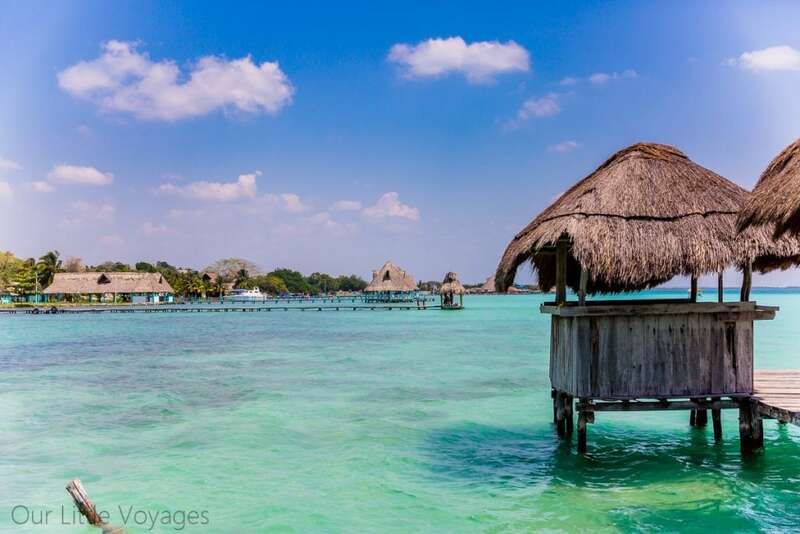 This fortress at the age of Lake Bacalar has one of the best views of the entire lagoon. It was built in 1729 and houses the Castle War and Piracy Museum. There are many objects related to pirates, colonizers, and their Mayan founders. These are mineral structures- living rocks, if you will- one of the oldest types of life. The word stromatolite came from the word “bed or stone carpet.” They appeared about 3,500 BC and, thanks to their production of oxygen, they are part of why life on our planet originated. 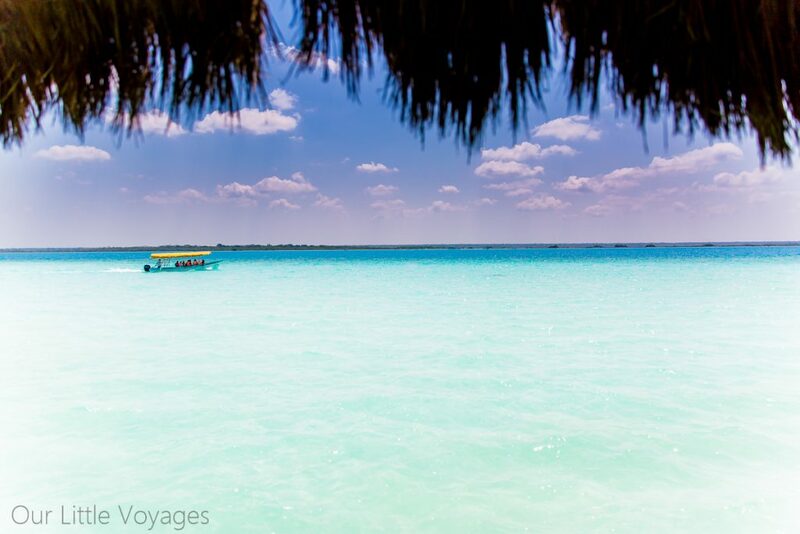 Currently the stromatolites are one of the main reasons why people from all over the world come to Lake Bacalar. 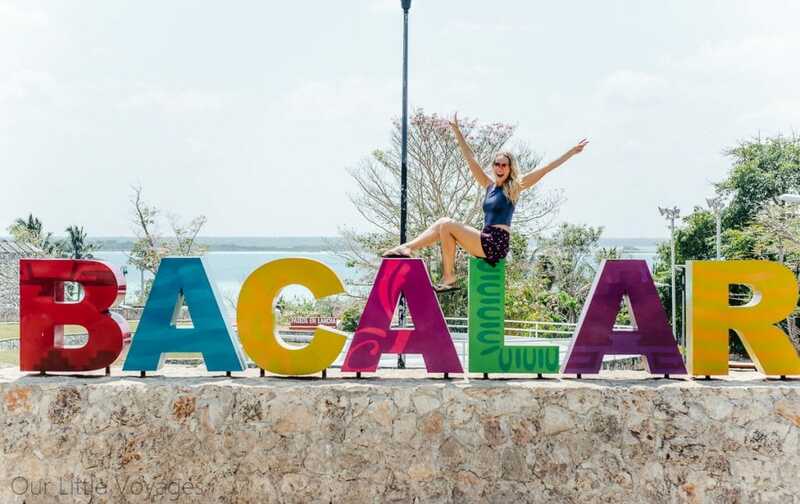 So even though i only got a chance to spend about 10 hours in Bacalar, it imprinted in my memory as one of those places I have to come back to. 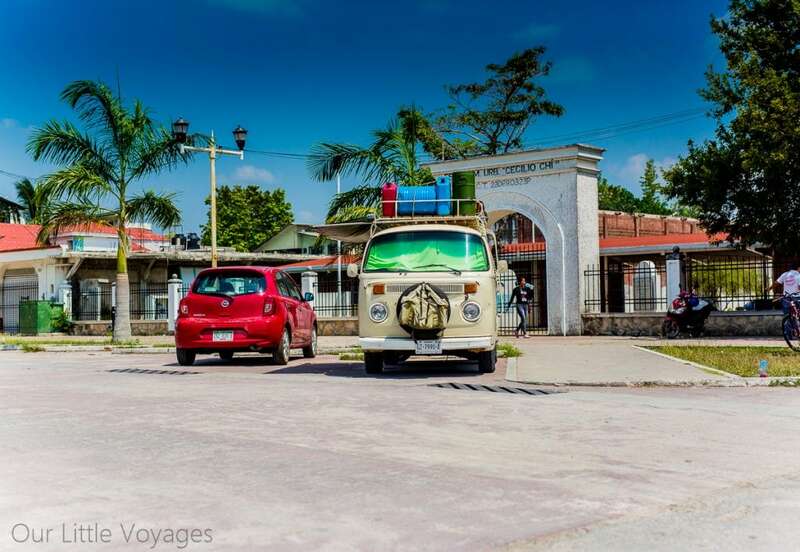 It’s named as one of Mexico’s Pueblo Magico for a reason.